For riders who want the ultimate in cornering and handling with a sled that virtually eliminates stutter bumps - plus the reliable performance, easy starting, instant acceleration, and great response. AXYS® CHASSIS: The AXYS® chassis design is the key to delivering rider balanced control through the right rider positioning and centralized vehicle mass. The rider's hand position is moved 4.5" forward, the feet position is 2" forward, the knee position is 4.5" forward, and the seat is 4.5" forward. This means more bite for flatter cornering when in the neutral riding position and a lighter front end for climbing on top of the snow or the moguls when the rider shifts to the back of the sled. PRO-XC™ REAR SUSPENSION: The PRO-XC™ progressive-rate rear suspension is optimized for the best performance and control. 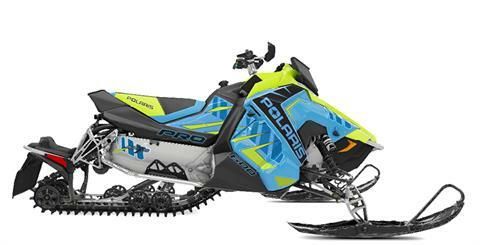 Through innovative Polaris® engineering, the suspension is both lighter and stronger. The front torque arm is rearward to control pitch, increase travel, and improve the rail profile. ACTIVE PITCH™ CONTROL: The PRO-XC™ suspension delivers Active Pitch™ Control which controls the pitch by suspension geometry and not simply by a high spring rate. This makes the sled less sensitive to adjustment while allowing optimal weight transfer. AXYS® PERFORMANCE SEAT: The high-performance seat foam and narrow front design of the AXYS® Performance seat delivers greater maneuverability. It's lighter without compromising comfort, offers improved ergonomics and stability, and its gripper top material helps keep the rider in place. 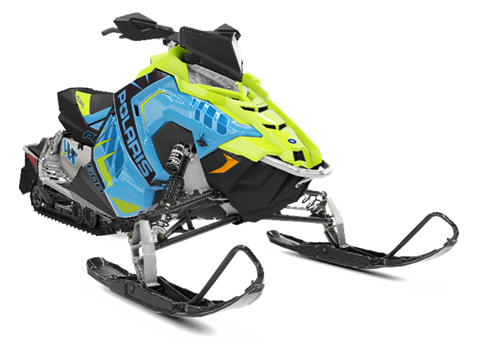 POLARIS® MESSAGECENTER GAUGE: Keeps a rider aware of sled operating conditions and other important information. Large buttons can be operated with gloved hands and the brightly lit display is easily readable in all light conditions. LEFT-HAND CONTROLS: The left-hand controls feature improved ergonomics and enhanced hand and thumb warmer controls which are easily operated with gloves on. LED LIGHTS: All AXYS® models feature standard LED headlights for the industry's best lighting that last the entire lifetime of the sled. Nearly 1 lb. lighter with high beams 80% brighter than incandescent lighting. Low beams remain on at all times for constant visibility and ehanced safety. WIND PROTECTION: The hood and windshield design offer significantly enhanced wind protection for a rider, and the foil on the side panels further enhances protection. 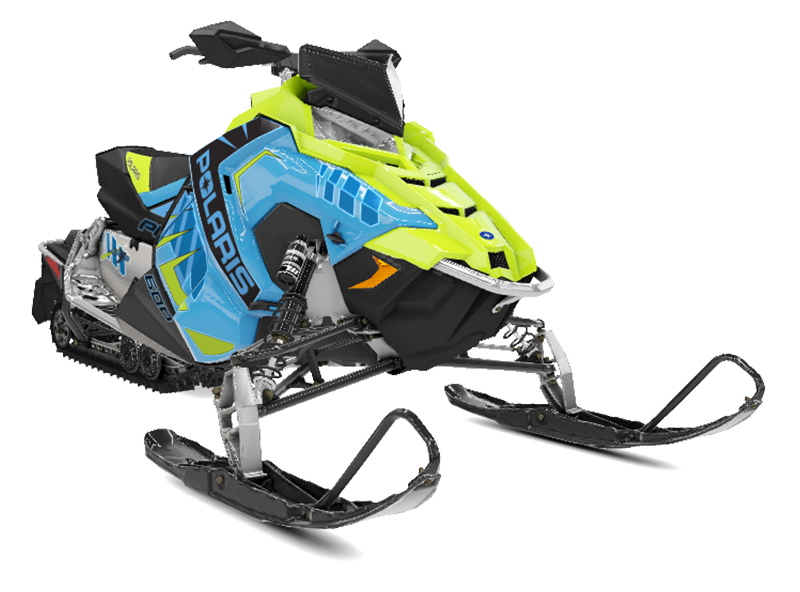 INTEGRATED STORAGE: Storage was developed with the AXYS® platform, so it installs securely without tools and features seamless, integrated styling that matches the sled's design lines. Sturdier zippers provide better cargo security and protection. LIGHTWEIGHT DESIGN: When developing the AXYS® platform, our engineers minimized weight throughout the sled without compromising strength or durability. 120 x 15 x 1.35 in.